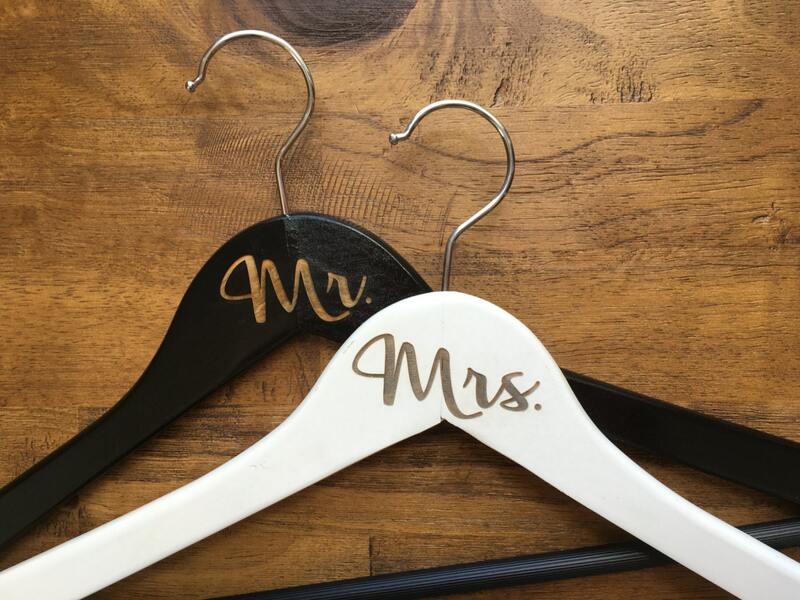 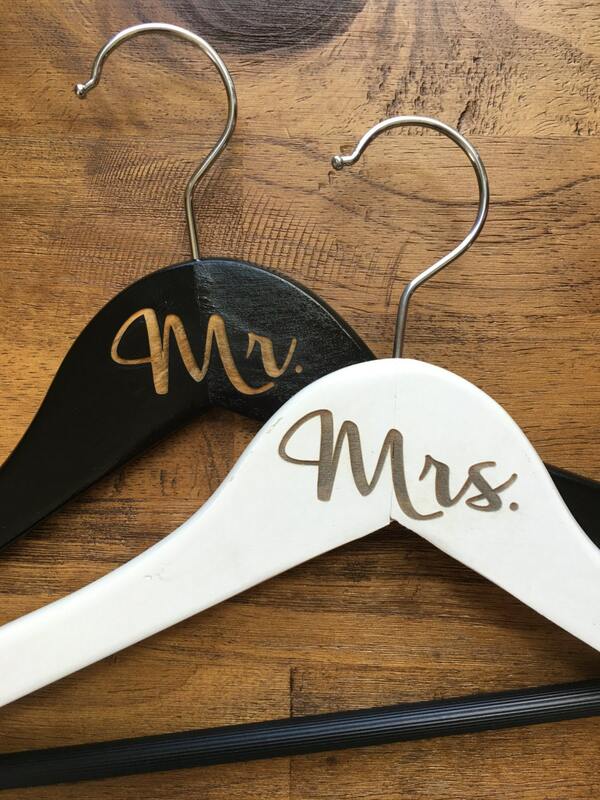 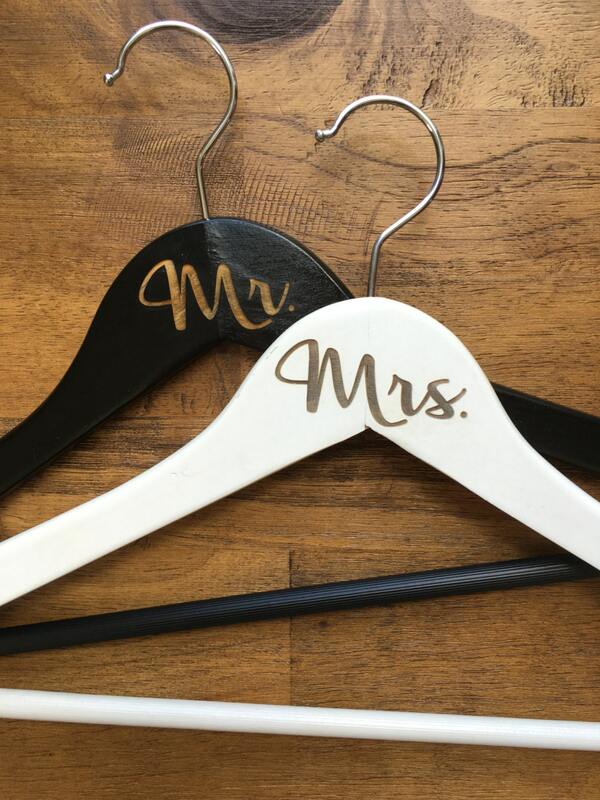 Hangers are laser engraved with Mr. and Mrs. on the top as pictured. 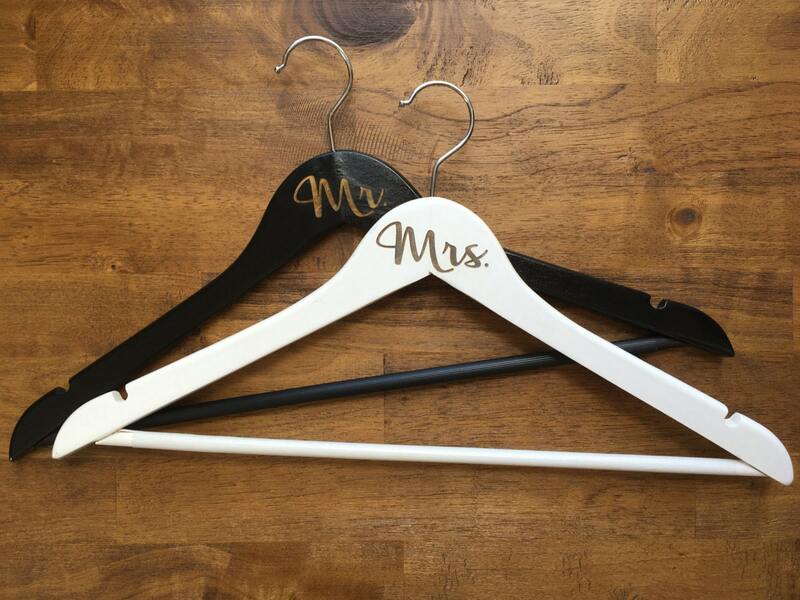 These hangers are sturdy, well-constructed hardwood hangers that feature a space-saving flat body, a solid wooden pant bar, two carefully crafted notches for the option of hanging straps and a polished chrome swivel hook. 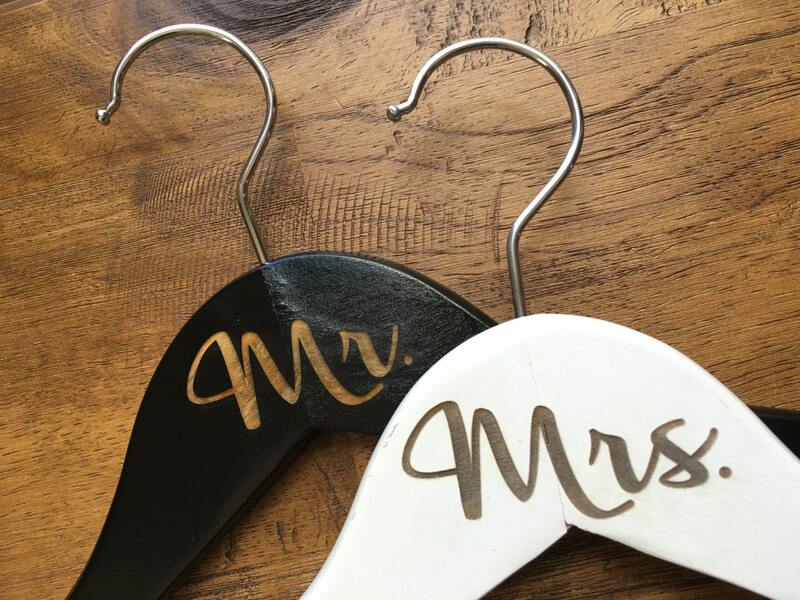 Finished with a double coating of lacquer to prevent splintering.